With deadlines looming, it is important to know the difference between application plans. Do you know what “Early Action” actually means? Check out this brief overview. Early Action is, very simply, an accelerated application plan. Unlike Early Decision, though, an Early Action application is non-binding. So why is an Early Action application advantageous to students? For a few reasons, not the least of which is that there is often a higher acceptance rate for this application plan over traditional regular decision plans. 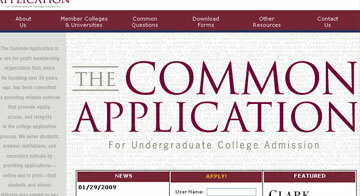 Students are also free to send Early Action applications to as many colleges as they would like. This is in stark contrast to the binding Early Decision (ED), which bars students from accepting admission at any other college if the student is accepted to the ED college. Finally, Early Action students often hear back from their schools much earlier in their senior year. This means no stress as the school year winds down. Are you applying Early Action to any schools? We would love to hear your comments below.